A couple weeks back I reported on a bankrupt Dutch gadget maker, and today I've learned that reports of their demise were greatly exaggerated. Endless Ideas, maker of the Bebook ereaders, has been sold to Bas Group. It took a little bit of digging, but this is bigger news than it first appears. BAS Group is something akin to Kroger here in the US. It's a parent company to a number of different European gadget retailers, including Dixons, Mycom, and Vobis. That's a tidy little empire of a few hundred retail stores stretching across several countries. Lump all the chains together and you might think of them as BestBuy. Like BestBuy, they sell a variety of consumer electronics, computers, and appliances (it varies between chains). Interesting, no? So it looks like Bas Group decided to launch their own in house line of ereaders and tablets. That's great news for Endless Ideas, and also great news for their existing customers. Bas Group will be honoring existing warranties. Bas Group announced the deal today, and Steven Bakker, the CEO of Bas Group, had this to say: "we are proud to add a well known ereader brand as BeBook to our range of products. We believe that BeBook will be a big success now and in the future. The e-reading market is strongly developing and we believe that BeBook will be a huge asset for Bas Group in this market". TBH, I expect that this purchase was for the tablets, not the ereaders. That's where the growth is. Considering how Amazon is pushing their low cost K4 in Europe, I'm not sure there's much of a market for the premium quality devices sold under the Bebook brand. Also, Endless Ideas had launched a tablet last year, and they had plans for more. This deal is going to give them solid base of retail stores to build a decent market share and brand recognition. Do you suppose that Bas Group will launch their own ebookstore as well? It would make sense. BlackBerry to Release 10″ Playbook Tablet This Year? The stories were not exactly exaggerated, the story was just not over. Endless Ideas did go bankrupt. BAS Group announced that they have an agreement with the trustee to buy BeBook “assets”. As I understand that means brand names and products. Employment will not be continued by BAS Group. In other words, they were liquidated and some parts got repurposed. Might be just a cheap way to dip a toe in the ebook market to gauge the temperature of the water rather than a full commitment. Considering what happened to EI, I suspect the market for generic epub readers is getting chilly even in Europe. And I wouldn’t be surprised to see generic tablets go that way by next year. Bebook just sold rebranded devices (although they changed the software). According to a comment on a Dutch website the bankruptcy information only mentions 5 to 9 employees. So there is not much more to Bebook than the brand name. According to the rumours this year Amazon will open a Dutch Kindle store. The main reason why the Kindle is not a success here yet is because all Dutch ebook stores just sell ePub books (which is true for all of Europe, and it is a sad thing that B&N has missed its chance to profit from this). If Amazon opens a Dutch Kindle store with a good selection of books with lower prices than bol.com (the only real competitor to the Kindle ebooks store, and linked to the Sony ereaders) than I think Kindle will quickly become the market leader here, with Sony in second place, and no other ereaders left with any substantial market share. Especially since the Dutch goverment has decided against fixed ebooks prices. Amazon’s main trick of gaining market share by selling ebooks at a loss will work fine here. I see no real future for the Bebook brand myself. I doubt whether this purchase was for the tablets rather than the readers. 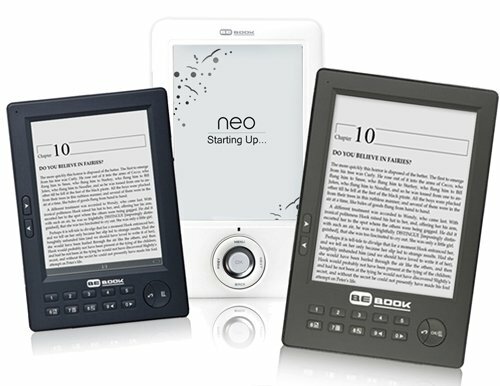 I would not be surprised if a major cause of the bankruptcy of Endless Ideas was the failure of the Bebook tablet. And you exaggerate the size of BAS Group. True, they are a major player in The Netherlands (where they operate 200+ stores), but have hardly any presence in other countries, and certainly no retail stores. Vobis is not one of their brands, and only the Dutch Dixons stores are part of the group, not those in other countries. Don’t forget that especially here in The Netherlands the Bebook brand is quite an asset. There are no numbers as far as I know, but I would think that Bebook is number 2 on the Dutch ereader market, after Sony. As long as there are virtually no Dutch books available for the Kindle, it will not be a major player. Only those readers that read primarily English or are comfortable enough with cleaning DRM and format shifting will buy one.